Colonel Paul Taylor has spent a lifetime keeping Americans safe while building a future for his three daughters. 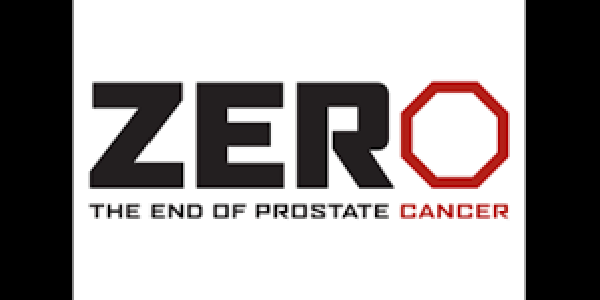 It is only with the advances that ZERO has made during the last twenty years that we are able to equip him for his personal fight against prostate cancer. In Taylor’s battle with the disease, testing and treatment breakthroughs have given him hope, but ZERO doesn’t want to stop there. The nonprofit’s mission is to end the disease, and it’s a goal they’re fighting for to ensure the futures of the thousands of men like Taylor. 1. Know your risk. The greatest risk factors for developing prostate cancer are increasing age, a family history of the disease, ethnicity, and diet. African-American men are 1.7 times more likely to be diagnosed, and a man with at least one close relative who has had the disease has twice the risk compared to the general population. Not having any of these risk factors does not mean that you are immune, however, all men are at risk for the disease. 2. Early detection is critical. It is important to understand your risk for prostate cancer and to speak to your doctor about being tested. You can also find free testing sites on ZERO’s website. 3. Education is essential. Learn as much as you can about your disease. Do your own research, seek a second opinion and consider building a multidisciplinary medical team to work together to suggest a treatment plan for you based on your diagnosis, personal health and preferences to ensure you have the best health outcome and highest quality of life. 4. Talk about it. Frank, open discussion of prostate cancer among men is often difficult, but necessary. Raising awareness is key to making prostate cancer a national priority. Baseball All-Stars Ken Griffey Sr., a prostate cancer survivor, and Ken Griffey Jr. have teamed up to encourage men to raise awareness about advancing prostate cancer in the Men Who Speak Up campaign. 5. You are not alone. If you are fighting prostate cancer, or are the caregiver of a man fighting prostate cancer, you are not alone. In fact, more than 2.9 million men have been diagnosed with the disease. Speak to other survivors and caregivers about their journey; their advice will be invaluable. On our website, you can hear advice from some of our ZERO’s Heroes. 6. Connect with others. Community involvement in the fight to end prostate cancer is important to raising awareness on a local level. To help raise awareness and help patients and families connect, we have nearly 40 Run/Walk events nationwide in 2016. 7. Cancer treatments are very expensive. ZERO partners with the Patient Access Network Foundation to provide financial assistance for metastatic prostate cancer patients. Since 2013 the Co-Pay Assistance for Men with Metastatic Prostate Cancer Fund has given more than $150 million in copay assistance to more than 42,000 men nationwide with metastatic prostate cancer. 8. The Department of Defense plays an important role in the war on prostate cancer. The Prostate Cancer Research Program (PCRP) is a Department of Defense initiative that has funded three new treatments for prostate cancer in the last five years. ZERO fights for continued prostate cancer research funding by bringing advocates to D.C. to meet with elected officials on Capitol Hill each year. In 2016, ZERO’s dedicated advocates are asking the Department of Defense’s PCRP be funded at $90 million, which is $10 million greater than the previously approved funding in 2015. Learn more about ZERO’s advocacy in action. 9. There is hope. Terrific advances in prostate cancer detection and treatment have reduced the mortality rate by an average of 3.5 percent each year, and the five-year survival rate for all men with prostate cancer is nearly 100 percent. Today, there are also dozens of new treatments under clinical review – the hopeful side of prostate cancer has never been so hopeful. 10. Help create Generation ZERO. This year ZERO celebrates twenty years of saving lives and keeping families together. Join us in creating Generation ZERO – the first generation of men free from prostate cancer.